Even after seeing other chiropractors in the area, Louise still had her fibromyalgia symptoms. She didn't see her condition improving, and knew she needed to find a doctor that specialized in fibromyalgia and understood her condition. 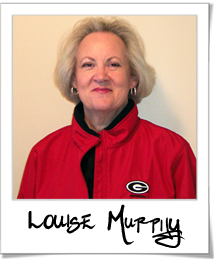 Louise kept searching for specialized treatments in Augusta until she found Dr. Huntsman. Under his care, Louise's health underwent a transformation--with her condition significantly improving, Louise no longer felt trapped by her fibromyalgia symptoms. Louise remains forever thankful to Dr. Huntsman, and uses every opportunity she can to tell others about him. "I was diagnosed with Fibromyalgia for several years before coming to see Dr. Huntsman at Georgia Clinic of Chiropractic. I would have chronic pain from the top of head to the bottom of my feet. It was hard to do housework and I didn’t feel like participating in different activities. The pain would also make it hard to think and focus. I felt like I had low levels of energy. Before I found Dr. Huntsman, I had tried acupuncture, trigger point injections, and had even seen other chiropractors in the area, but I would still have all the fibromyalgia symptoms (regular headaches, fatigue, neck and back pain, arm pain, sciatic pain). Since I’ve been treated by Dr. Huntsman, I have had an overwhelming improvement in my condition. I’m so amazed and thankful for the improvement I've made—THANK YOU SO MUCH! I can think clearer, I am able to do housework easier, I have more energy, and my energy levels last longer. Dr. Huntsman has been the best “gift” to my health in years. My quality of life has improved so much. I feel like he’s helping to give me my life back. I also recommend him often to others. I’m so glad I kept searching for this kind of help. I’m 62 years old, and I’m not ready to sit down. I have too much to do!" Call (706) 814-5053 Today to Get Started on Your Own Personalized Fibromyalgia Treatment.